My French Coach's Frequently Asked Questions about learning and speaking French in Paris. WHICH LANGUAGE IS SPOKEN DURING THE LESSONS ? French is almost entirely spoken during the lessons but if you meet difficulties with french language, english and spanish can be used to help you. HOW IS THE SCHEDULE SET UP ? When we first meet, we will set up a Schedule according to a timetable that suits you. You can organise it over the 5 weeks following the first lesson. WHERE IS THE LOCATION OF THE LESSONS ? That is the point of My French Coach ! Each lesson takes place in an unusual place in Paris. 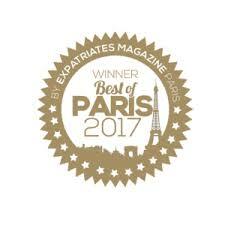 It offers a lot of opportunities and it aims to show you Paris with its a litte of the way places. Places will be fixed in advance with you. It can be inside a unusual flat, a museum, a famous café or a park full of oddities. DO WE STUDY WRITING DURING THE LESSONS ? My French Coach aims to improve your oral and phonetic skills, so writing is less prominent so as to enhance the efficiency of the lessons. WHAT DO I NEED FOR THE LESSONS ? You will just need headphones and a USB key ! All documents and exercices will be record and transfer on it.